If you have a laptop or called notebook, it is important to backup your important files. Either using the Windows backup or using a second party backup file software. This is very important because once the internal HDD will damage like the no detection of HDD. That cause the HDD platter to stoppage inside. Cause of Viruses that might your virus scanner can't retrieve or remove the viruses. Damage of Operating System (OS)- a corruptible OS might prevent to retrieve your important files. But actually you can use second party software like Stellar Data Recovery Software. Damage of Hardware Parts- this is common like overheat of hardware that cause to malfunction the mainboard (MOBO) or the damage of LCD. This post will guide you how to backup files using your Personal Computer. Do it right now! Position the Laptop with the rear back of laptop facing on you. Remove the HDD at the rear back of your laptop, unscrew the HDD and remove it gently inside the compartment. Now in your PC, use a SATA Cable to connect your SATA laptop Hard Disk Drive (HDD). 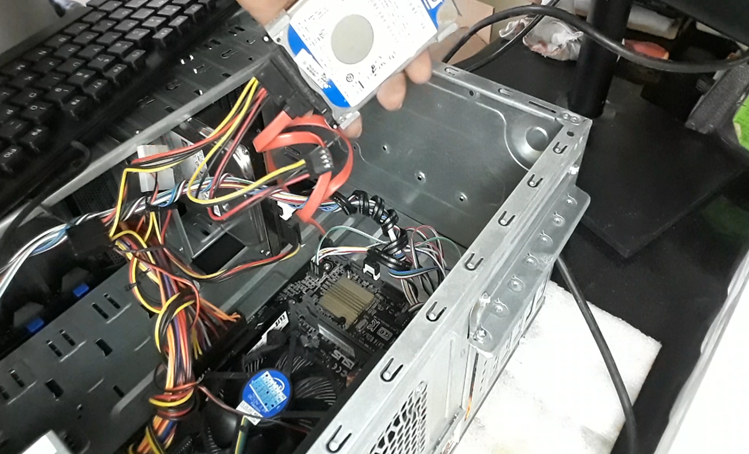 Locate the SATA connector of mobo and use a SATA cable to connect the HDD into the mobo SATA connector. Once you have surely connected, power up your computer. Once the computer displayed the desktop, check whether the Laptop HDD is detected. Once you're being finished copying all the files, assemble again the HDD into the laptop drive compartment. And bring it to the expert professionals for repair. Before transferring the files into your Personal Computer be sure that your virus scanner is updated to filter all the possible viruses coming from your laptop hdd files. If you will use second party backup file software, be sure to buy a license software like the Stellar Software. If you have no little knowledge in dismantling laptop and in your PC, allow other professional persons to do it. To avoid future damage or failure to backup your files. That's all stay tune for another post here.